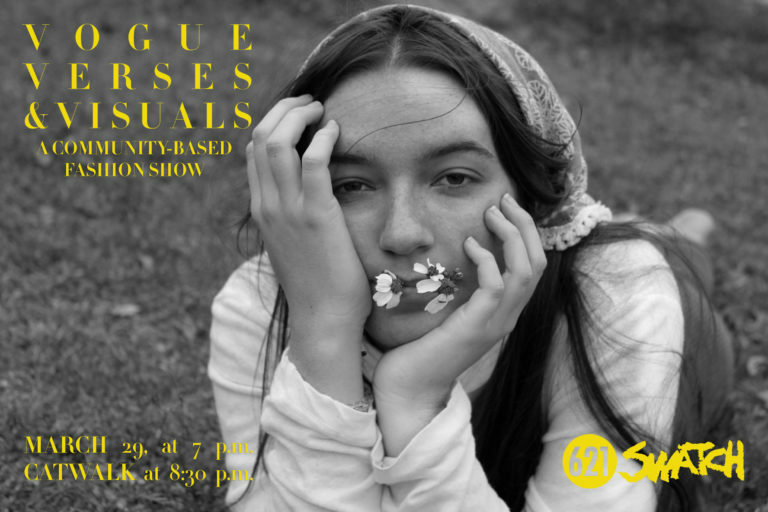 We are excited to invite you to join in our community-based fashion exhibition: Vogue, Verses, & Visuals, happening this March 29th at 621 Gallery. It is a celebration of fashion. Our exhibited work of art will be fashion. We are exploring fashion’s means & values of local individuals. V times three is open for participation. We are seeking those who choose to create & design, those who choose to model, those who choose to display visual art, & those who choose to perform spoken word. This is an inclusive show, comprised entirely of local individuals, expressing themselves through fashion. There are opportunities for vendor booths for local shops & donations for our clothing drive. Tickets are $5 each. They can be purchased on 621 Gallery’s website.